Visit our Schedule Page for a complete listing ..
Out of Eden is excited to be back at The Neon Room, ( Formerly known as Club Velvet). Don’t wait to purchase your tickets for this event if you are an Eagles fan. Out of Eden has replicated the harmonies and music of this classic rock band and if you close your eyes, you will think you are hearing the real Eagles. They will have you singing along to all the greatest hits and will also throw in the crowd favorites of Joe Walsh and Don Henley. These old guys can rock! Out of Eden officially kicks off their summer concert season at Fiore’s in Wooster on Saturday May 25th. Come on out and show your love for Wooster’s finest entertainment venue and Ohio’s premier Eagles Tribute Band. This will be our third year appearing at Fiore’s and it is one of our favorite places to perform. Always a good time on the patio. We will have you up dancing and singing along to all the greatest hits including some of Joe Walsh and Don Henley’s solo tunes. The food is great, and the beverages will be flowing. You will not be disappointed! Out of Eden returns to Whiskey Island as we officially kick off our Summer concert schedule. We will be playing all of your favorite Eagles, Don Henley and Joe Walsh hits. 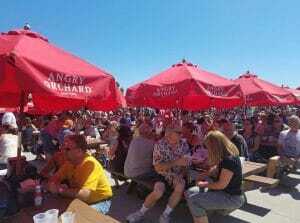 We hope you will join the party on one of Cleveland’s favorite patios. Its going to be a good time! Just One Look Ohio, Linda Ronstadt Tribute will open up the show 8:00 PM followed by Out of Eden, Eagles Tribute. 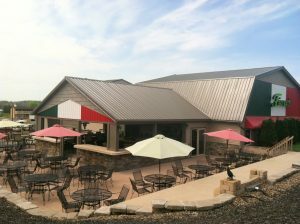 We are excited to open up this new event at the Pavillion at the Inn of Aurora. 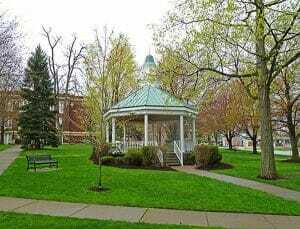 Out of Eden, Eagles Tribute concert returns to Willoughby Ohio for their summer concert series on Thursday June 20th. Gather your friends, and family for an evening of classic rock at its finest as we take you down memory lane playing all of your favorite Eagles, Joe Walsh and Don Henley hits. Don’t forget your chairs or blankets to sit on. We look forward to seeing all of our Willoughby fans once again. Out of Eden returns to St Ambrose Church Festival for a night of Eagles, Don Henley and Joe Walsh music. Mark your calendars, bring your chairs and plan on having a great time. Plenty of Activities for the entire family, plus great food and the music of one of the greatest classic rock bands of all times. We are going to rock the night away! 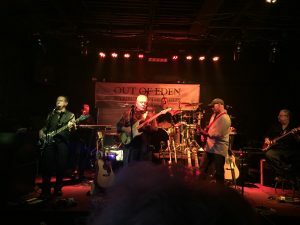 OUT OF EDEN, EAGLES TRIBUTE BAND, RETURNS TO GENEVA-ON-THE-LAKE GOBLIN AMPHITHEATER FOR A NIGHT OF MUSIC, DANCING AND GOOD TIMES. HOPE TO SEE YOU THERE! Just One Look Ohio will open up this event with their tribute to Linda Ronstadt. 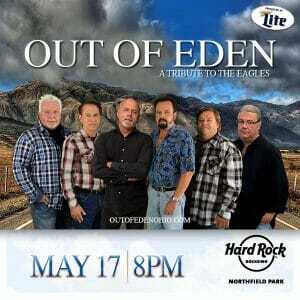 Out of Eden, Eagles Tribute Band will perform all of the Eagles hits, along with some Don Henley and Joe Walsh solo hits. If you are a fan of the Eagles music, you will not want to miss this performance. Hope to see you there. Two great shows, at one event! 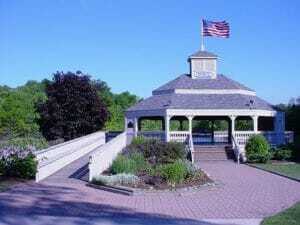 Out of Eden, Ohio’s premier Eagles Tribute Band will be rockin Lake Erie shores at Cleveland’s favorite patio party. 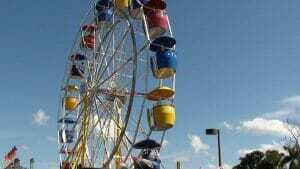 We will be playing from 2-6 PM. Gather your friends for an afternoon of entertainment of all of your favorite Eagles, Don Henley and Joe Walsh hits. The food is great and plenty of beverages will be available. Out of Eden, Ohio’s premier Eagle Tribute Band will be performing all of your favorite Eagles, Don Henley and Joe Walsh hits. We look forward to making our debut at this event and hope you will join us. Ron grew up on the East side of Cleveland and began playing guitar at the age of 10. His love for music started when his Father and Uncles would get together on weekends to jam for fun. During his teen years, he began playing with several bands and they would play at the after school dances and a few gigs locally. In the early 70’s a Country Rock Band came on the scene called the Eagles. Their style, lyrics and superb vocals and harmonies became the main musical influence in his life. He would practice and jam with anyone who would play their music. 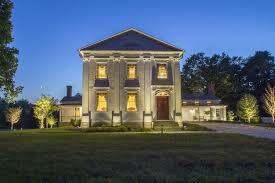 During his adult years he played guitar in several Classic Rock Groups in the Akron Canton area. However, in his spare time, he continued to practice his Eagles music which led him to his current project to become the “Best EaglesTribute Band” out there. It’s been a Long Road to…”Out of Eden”. Jim grew up in a family that loved music. His father was an accomplished guitarist in a jazz group as long as Jim can remember. 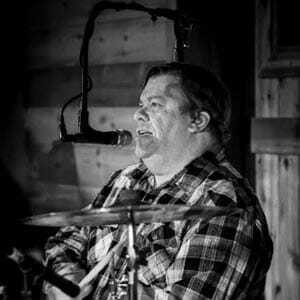 Jim began playing in bands in his early teens aroundthe Akron and Kent areas. He was influenced by groups such as the Beatles, Beach Boys, Temptations,Smokey Robinson and of course, the Eagles. He really likes to hear good harmonies and enjoys adding to the harmony stacks of Out Of Eden. Prior to this band, Jim kept busy playing in a couple of local bands in the Akron area. 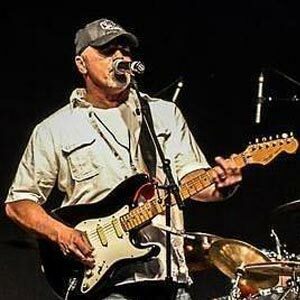 Jay started playing guitar at the age of 6, after his Uncle Ronnie taught him a few chords to some old Merle Haggard songs. It began a life long love for all kinds of music, spanning 5 decades that continues to this day. In addition to Out of Eden, Jay also performs as an acoustic solo artist, under the guise as “Uncle Jay”, as well as with a popular country band in Cleveland – “Coalies Run”. 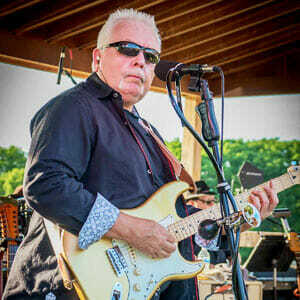 Prior to that, he performed with many other popular Northeast Ohio groups, including a 19 year tenure with the “Curtis Brothers Band”. He is also an accomplished songwriter with a catalogue of over 150 copyrighted original songs. 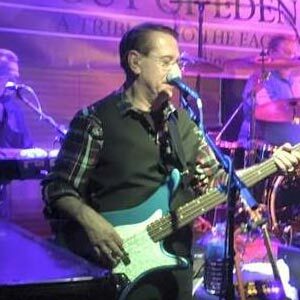 He was heavily influenced by The Eagles, and all of the other California based rock bands of the 70’s, and is pleased to be part of the “Out Of Eden-Tribute to The Eagles” band.